FREE CONSULTATION, NO time limit, NO obligation! If we don’t get money for you, you don’t pay anything — no legal fee, no expenses! NO charge for no-fault claim work. 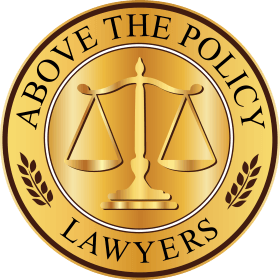 NO charge for no-fault disability / lost wage claim – many other lawyers charge 1/3! NO charge for collision damage claim. Wrongful death cases: NO charge for Administrator or Executor estate legal fees. These legal fees could cost you as much as $12,000 with another lawyer, but we pay them for you out of our pocket! NO charge for processing lawsuit cash advance loans! LEGAL FEE — 1/3 of the money we get you for your injuries. WHEN & HOW PAID — paid at the end of your accident case from the money we get for you! CASE EXPENSES — You never have to pay upfront for cases expenses. We advance the money for cases expenses. We are reimbursed only if we get money for you! NO CHARGE for the following cases expenses can save you thousands of $: Umbrella insurance search ($350 value), WestLaw online legal research, fax, copying, postage, messenger fees, travel, computer storage, case file data backup, case file archiving, storage fees, shredding, telephone, and other similar charges! Time to Get Your Settlement Check — 3-10 business days (depending upon the insurance company) after your settlement is deposited into our escrow account. We don’t have cash flow problems and we never touch your money in our escrow account. We don’t even take our legal fee until we pay you! Free Consultation — We can speak with you by phone or see you in the hospital, your home or our office and you will have no obligation to hire us or pay us. Personal service — Call about anything days/nights/weekends now, during or after your case. You can even call us about other problems not related to your accident even after your case is settled! HURT911® Personal Medical Manager™ — We provide many of our clients with a personal case medical manager who is a licensed NY medical doctor with a specialty of Physical Medicine & Rehabilitation (expert in orthopedics, neurology and pain management). HURT911® Injury Concierge Service™ — We provide car service when needed for transportation to our office; your deposition prep; deposition; and physical exams. We may also be able to provide car service to and from doctors and even other places where you need to go. For very serious injury cases, we can provide someone to help you on a daily basis. We will prepare you for your deposition so you won’t be nervous and will testify like a lawyer! We don’t let you go alone to your defense physical exams! We go with you and may bring a medical doctor with us! We can often reduce case expenses and speed up your case by using mediation or arbitration. Call us even if you think you may not be seriously injured! You may not realize your injury is serious, so call now to find out 1-800-487-8911. Our passion is personal service and winning! We don’t just say personal service. Our clients know they can call anytime, as often as they want, or just to say hello without worrying about bothering us. We’re nuts about winning, yet we don’t like risk. That’s why we prepare our cases so well, as you can see below. We prepare to win and when that happens, we can get more money, increase the likelihood of a full value settlement instead of a trial, and settle cases faster. UMBRELLA INSURANCE — We can’t trust the insurance company to admit if there is umbrella insurance coverage! We know how to search for umbrella insurance and we obtain a written report showing if an umbrella insurance policy exists. MEDICAL RECORDS — We use an outside company online to Get your medical records faster. They constantly harass hospitals and doctors, by phone and fax, to get your medical records and email us a link to download your medical records when they become available. MEDICAL RECORD REVIEW — We have doctors review your medical records and provide us with a comprehensive medical summary for litigation and settlement. SETTLEMENT PACKAGE — While other lawyers spend money for your case of the time of trial, we spend it early to put together an impressive settlement binder with the evidence showing the defendant’s negligence; your injuries; jury verdicts in other similar cases to show the value of your injuries; many other items such as present net value computations; and where appropriate a medical illustration, 3D color medical images and video of your X-Ray, CT scan or MRI. This helps to obtain a settlement of your case for full value before depositions or trial. We create 3-D color images of your x-ray and 3-D color videos of your actual injury from your CT scan or MRI like this one showing herniated cervical discs. [vimeo 82984623 420 315]Click here or on the thumbnail image below to look at two 3-D color x-ray images we made for a client’s fractured wrist. We print the 3-D images in color for the settlement binder and include a CD with digital images. How not to answer questions. Because of our enhanced settlement package and your preparation, many cases are settled for full value without having to go to trial. See why our video is so effective and will make you testify like a lawyer. We prepare you while you watch our video in our deposition prep room. You can also watch again online at home. PHYSICAL EXAMS — This is the one part of your case that’s as important as your deposition. Within a few weeks after your deposition, the defendant’s insurance company is entitled to have you examined by their “independent” doctors in each field of medicine as the doctors who treated you. Read about what happens at your physical exams. Many lawyers send their clients to these medical exams alone. Don’t hire a lawyer who would send you alone! Not only do we go with you but we also bring our own independent orthopedic surgeon or neurologist to your physical exam with you. Our doctor provides us with a report to make sure the insurance company doctor tells the truth and shows what was done correctly; what was done wrong; what was not done that needed to be done. This is the best way to refute the defense insurance doctor’s allegations that you were not seriously injured! SmartAdvocate® Personal injury case management software, the leading (and most expensive) software which tracks every aspect of your personal injury case and lets us create legal documents at the click of a mouse. SmartAdvocate proudly posted Philip L. Franckel, Esq.’s testimonial on their website. Westlaw, the leading (and most expensive) legal research library, allows us to research legal issues for litigation and jury verdicts so we can prove what your injury is worth! Medical videos of your CT scan or MRI where appropriate. See one of our client’s 2D black & white CT scan turned into a 3D color video. Access to a databank of deposition and trial transcripts of defense doctors so we know what they previously testified to and we’re prepared to discredit them at trial. Asset searches are performed using LexisNexis which can find real estate including mortgage information and aircraft owned in the US. Asset search reports are used when the insurance coverage of the vehicle which struck your motorcycle is insufficient to compensate you for your injuries to determine if there is additional money which can be obtained and where the money is.